It’s shaping up to really be a “weedless Wednesday” in much of New Brunswick. More than half of the province's Cannabis NB locations are closed because they've run out of product. Some see it as growing pains, while others consider it poor planning. A lot of would-be customers tried the doors Tuesday and left disappointed. Another customer, Justin MacLean, is surprised Cannabis NB didn’t think this far ahead. “You'd think as a government corporation they would have put a little more thought into the opening month,” he said. In recent days, shortages have developed across the country in a variety of cannabis products and, so far, there's been no firm indication when supply is going to meet demand. One of the big suppliers says some of the industry is having trouble meeting expectations. In the days to come, Cannabis NB will face questions about its business model from the incoming premier. “When I look at our model, it is one of the most expensive models in the country,” said premier-designate Blaine Higgs. Some users say no one should have been surprised by the demand. 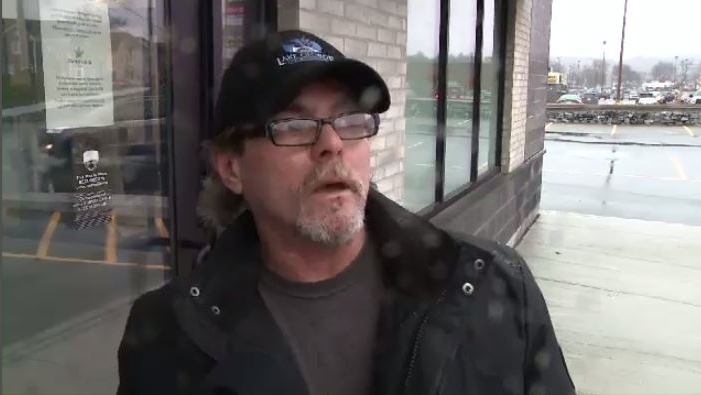 Another customer, Greg Wright, said he was making his first trip to a Cannabis NB outlet because he wanted to see what it was like. This week, a lot of cannabis customers are having similar luck.